Last week some of the FFCF crew said farewell to 2 of our members and wished them luck as they make their move to Florida and start another chapter of their life! We will miss you Susan and Tim!! It was awesome having you apart of the FFCF family!! ARE YOU READY TO TEST YOURSELF AND HAVE SOME FUN???!!!??? Feb. 21 kicks off five weeks of Open workouts. People of all ages and ability levels can play, Rx’d or Scaled. 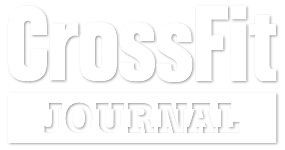 Participate at any of the 15,000+ CrossFit® affiliates worldwide!!! Sign up for the 2019 CrossFit Open Now!